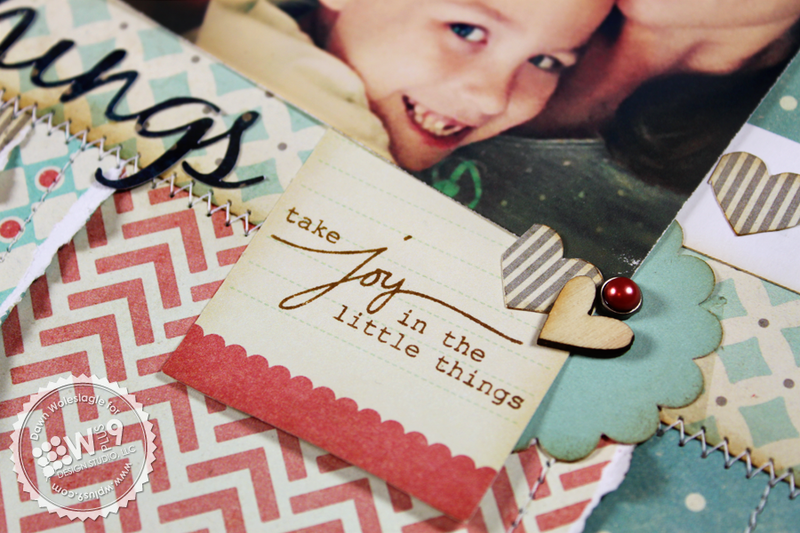 Today I have a scrapbook page to share! I know! Crazy, right? I have had the itch to scrapbook for a while now. And I happened to finish two pages this weekend. Which is UNHEARD OF for me, because it usually takes me like 40 hours to do a page! I actually had a lot of fun with this one, even though there is very minimal stamping. I used a sentiment from Sweet Nothings to support my title. The phrases in this set are actually a great little addition to scrapbook pages. Who knew! My favorite part is probably the pattern strips at the bottom. I was inspired by the cover page on most scrapbook paper packs. You know how they always have the strips of paper across the front? That was my starting point. And, I wanted to create some little Polaroid frames customized with my favorite little things. So I used my silhouette to whip some up along with the heart border. So much fun! very cute. love the polaroids! You look so beautiful! The whole page is great. I love the colors and all the little details, especially the white frames, torn edges and hearts. Oh, I love it! I love the idea to use the different strips of patterns - I was peeking at the cover of one in my recycling today thinking "that has to be useful for something..." This looks great!! gorgeous...love the torn and stitched papers!! This is absolutely gorgeous, girl! 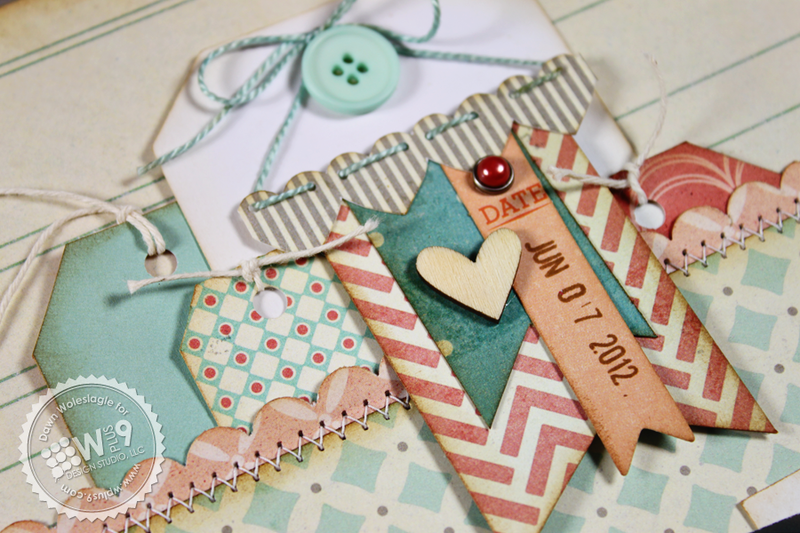 LOVE the soft, sweet, color palette and all that yummy stitching! And what a beautiful photograph! Keep it up! Beautiful page, Dawn! The polaroid frames are fantastic, and what a great photo. Love the frames and the cluster of tags! Such a great memory captured! Dawn, you always create such fabulous layouts! This is absolutely gorgeous (and so are YOU!!) and I love all the layers and torn edges. The polaroid frames are super fun, and the cluster of tags up top is a great accent. Would love to see more! 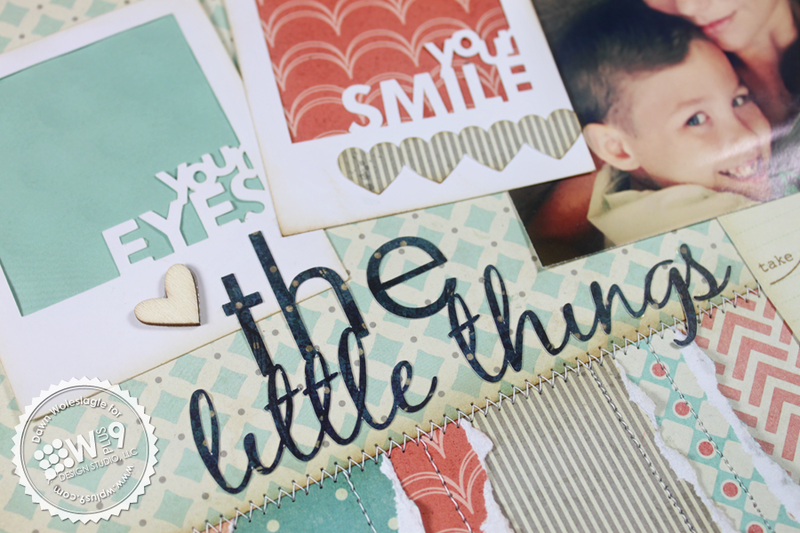 beautiful layout: I love the colors, the great use of patterned paper, and those photo frames are just great!! STUNNING !! so gorgeous love everything about it! This is so fabulous! I love the layout, the titles and the sweet pic of you and your boy! Can't wait to see more! This is really gorgeous, Dawn! I love everything about it from the photo to the colours, stitching and polaroid frames. I hope to see you scrap more!